Trying to write an S.O.P and not able to know how to make it appealing? Then take a deep breath and pause! Look at what you really want to tell the academicians about yourself, your interest, academic-experiences, and goals. Also, how a particular course can take you closer to your goals, you have to write that in an inclusive manner. Be direct about your goals, and how a particular course can help you achieve them basically. Forming a blend of passion and logic can convince the professors and the admission committee, on your willingness to study at their university. If you’re applying for a Masters Degree or Ph.D., it would be ideal to share your past educational experience and research work. Colleges give an advantage to those students who have shown good results in their undergraduate courses. You can elaborate upon your future research ideas, and how a given university can help you on your endeavor. Experience counts a great deal for admission in Masters programme. So write about your past projects, experiences, and results obtained through them. Since an S.O.P. 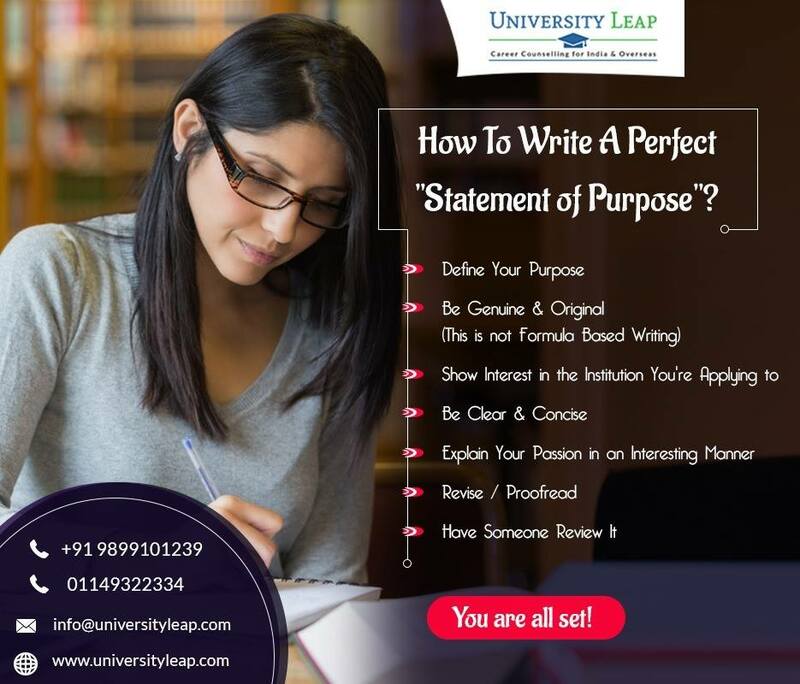 goes to educationists, make sure it is formal writing where you are explaining your best interests in order to get selected for your dream course. Don’t mind scribbling or re-writing your thoughts to form the right content for the perfect S.O.P. Also once you have finalized the content, proof-read it and get it reviewed by a friend or someone you trust would give you a helpful opinion. For the Bachelor’s programme, you should follow the first step above religiously, keeping the 2nd & 3rd steps in mind. Whereas, if you’re applying for Masters programme and equivalent courses, then your relevant experience of the course matters. Universities look for bright minds, who have shown their prowess in their chosen field already and want to reach greater heights with the help of the university. Education counsellors in Delhi help students with study in India & overseas admissions. 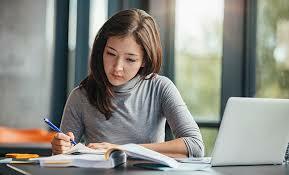 You can also get assistance in S.O.P writing from best education consultants.